Well, the blog takes an English turn, to continue and tell the story of the disappearing street – Pawia st. The Hebrew reader knows a bit of my first impressions and findings of reconstructing the street, so forgive me for the repetitiveness. I chose English because this blog proved successful in engaging other in the discourse I’m promoting – and I’m hoping the English text would do the same: the story of Pawia st. is not unique in the city that rose from ashes, but it raises interesting questions on remembrance and forgetting, of urban landscape change and life’s dynamics. My knowledge of Post war city planning in Warsaw is lacking to say the least – I am not a local and see only the surface. I hope this view and questions would allow more knowledgeable people and professionals to participate. Pawia (Peacock in Polish) st. is a little street in the Muranow district in Warsaw. The common visitor would skip the street, and choose the wider, more scenic and greener ul. Anielewicza to the north or the better know Nowolipki st. My interest there lies in the face that in the Spring of 1917 my grandfather was born there, in building no. 30, and his family lived there until WWII. 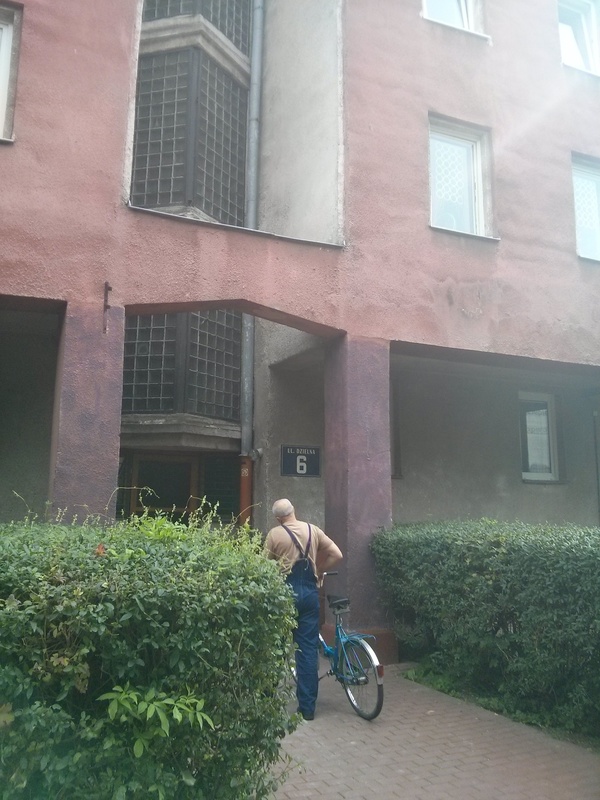 It is not mere coincidence that brought me to live not far from that address when I came to Warsaw (why, you’re asking – read this ABOUT – https://mymotherstongue.wordpress.com/about/) and as I wonder his childhood streets between the family house in Pawia and the family store in Geinsha st. (ul. Gęsia – Goose in Polish, now Mordechay Anielewich st.) I am somewhat at home, though so much have changed. 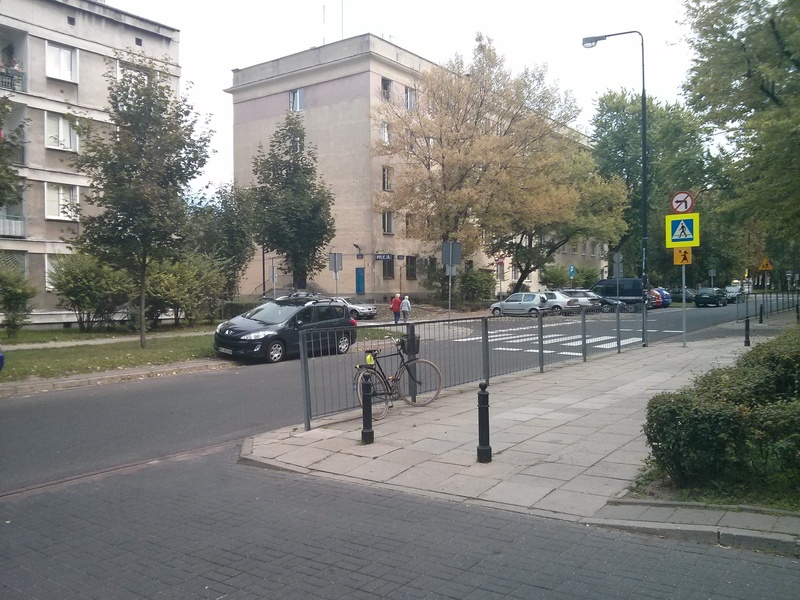 If you turn south next to the new History of Polish Jews Museum, and take the first right into our street – a sign will tell you that the street was first just a dirt road, going west from what was called then Dzika street (‘wild’ street in Polish, now Zamenhof st.). Pawia was named a street in the first half of th 17th century, and was a part of the first group of streets to be called thematically – the neighboring streets were named after other ‘wild’ animals – Duck, fox, bird and deer. In a strange way this resembles the streets near the Jerusalem Zoo – where my parents live nowadays. 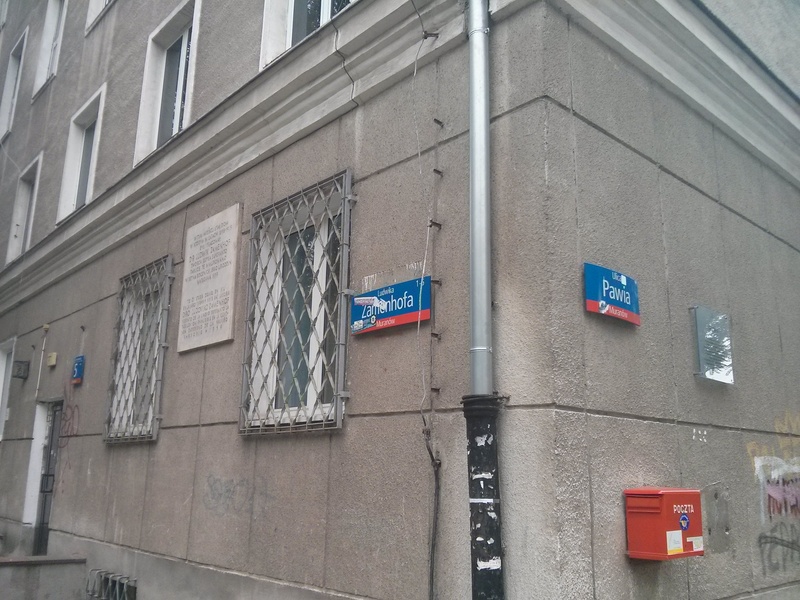 The sign telling the street’s story is just around the corner from the sign remembering Ludwig (Eliezer) Zamenhog that was born in the corner building – the polish Jew that tried to unify the world into one universal language. Our street goes through two Warsovian districts – Muranow and Nowolipki, both inhabited primarily by Jews, and not by wealth ones. The districts grew with immigration to Warsaw from the northeast – bringing Baltic and Russian jews into the occupied polish town in the early 18th century. A sense of the districts wealth and lack of importance can be seen in the Prison and military barracks that were built here. Pawia st. connected the districts in one straight line, walking the streets nowadays shows that even this elementary feature escaped the street. If you start your walk in ul. Zamenhoffa, and reach ul. Karmelicka you will find the street does not continue straight. A school in front of you would suggest that you turn right and walk 20 meters until the street reappears. It jumped north. Walking further down, after the school – you see only the wall of the former Pawiak Prison. This huge prison known for its political inmates used to face our street – and the names suggests so. Nowadays the memorial and remains lie on the southern neighbor of Dzielna, and he who walks our street has not the hardest clue of the Drama and site that resided here before. Walking along the prison wall the street ends abruptly. Three cars mark the end of our street, and lets the Post-war street of Al. 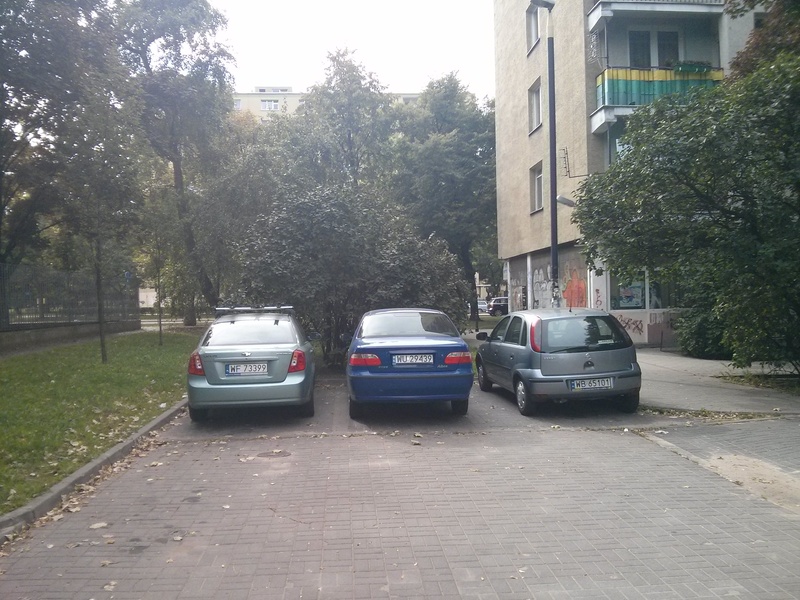 Jana Pawla II to run over our street. 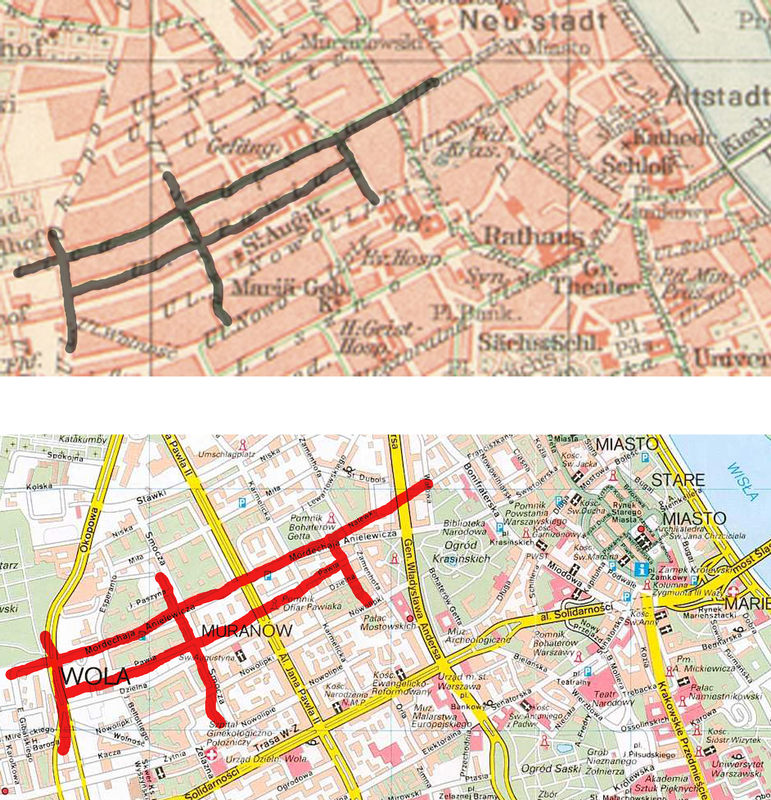 This vast boulevard does not appear in old maps: though a pre-war plan, the wide street that compromise now in 4 lanes each way and 2 tramlines in between was built on the post-war ruins of the districts. Not only it runs over former Pawia st. houses, the Avenue seems to swallow it whole: after crossing the wide Avenue (which you can do only by going 100 m north or south – to bigger junctions) you find out a Park covered the street’s path. The street’s path is a marked by a narrow park lane. If my estimations are right, in the middle of this park stood the no. 30 house of my grandfather’s family. The park is named after General Jan (underground name ‘Jur’) Gorzechowski, the hero of a famous Pawiak prison break and the defense of Warsaw in 1920 against the red army. His wide wings cover the ruins of this previously dense streets. After the park ends and crossing Smocza street, our street comes back to life, and to its original path (after jumping north, as we seen). And here the street houses comes to life again – no. 26 on the right, 28 and then 30. But the numbering plan in our days can not be the former plan. If Pawiak prison was in 25-27 Pawia st. then no. 30 cannot be this far west. In fact, now rises a more interesting feature of the disappearing street – most of his houses ran away. There are almost no houses in the street before number 26. Walking the street all the buildings are marked by the neighboring streets – from north and south, corner buildings bear the name of the crossing street. At least 3 public buildings face the street – the Police station on the corner of Karmelicka, the municipality housing office (is this a proper translation for Adminitrajca domow komunalnych?) nearby, and the Elementary school no. 210 for Pawiak Heroes all have their entrances to our street, but choose to bear foreign names. There is no 10 Pawia st. or 15. The buildings all face the street, their shared yards approach it, but their by name they refer to streets where their back windows are turned. In fact, the only two houses before number 26 are numbers 4 and 6. One is a big cement box, with few windows, facing the street, and the other shows just his side to the street itself. The few buildings that accepted the street’s name give him a cold shoulder and back. I can think of various reasons for the ‘disapearence’ of the street. The difficulties in reconstructing a pile of bricks, the will not to revive the name of the infamous prison (feared by Jews and freedom seeking poles alike), the will to emphasize the more glorious heroes – Anielewicz, Zamenhoff, Gorzechowski (I see so many heroes in Warsaw, the word ‘Bohaterow’ appears on many signs, monuments and buildings in the city). Warsaw is well known for the brave and sisyhpic efforts in reconstructing the town that Hitler ordered to have in ruins, but so much of the city was in rubbles, and the work needed so grand, that pieces of history were lost along the way. Why those pieces and not others? It might be a mere chance of where the bricks fell and covered the streets to a planned decision of clerks, politicians and architects. Nonetheless – the meaning is still there, and the change is imminent. The book I am now reading (In the Garden of memory, Joanna Olczak-Ronikier W OGRODZIE PAMIĘCI, and many thanks to my relative that recommended this book as a deciphering key to my move here) is telling me that the real hero of the famous Pawiak escape is not Gorzechowski whose park cover our street, but the author’s great uncle – Max Horowitz-Walensi, a Jewish communist revolutionary later to support the soviets over Polish national independence. 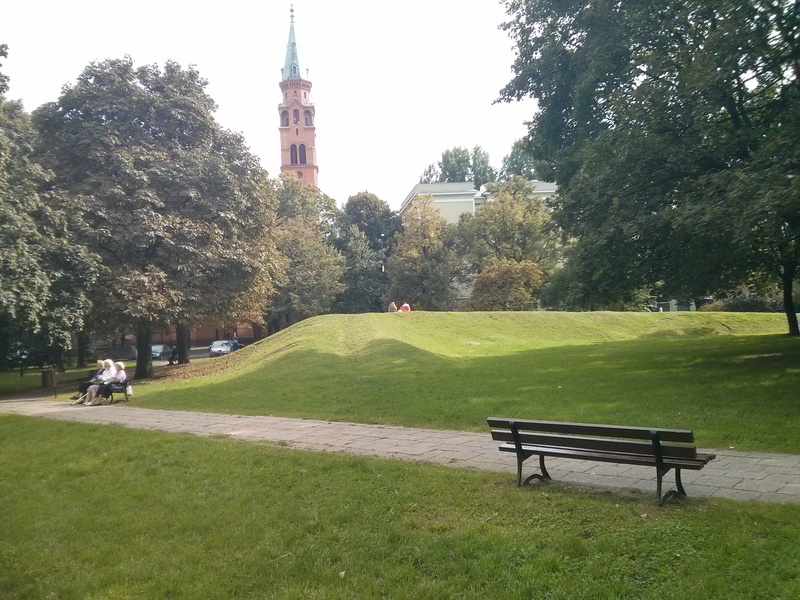 There are reasons why the park is called after Gorzechowski and not after him, and his religion is not the only one. Many stories are forgotten, for so many reasons. It is so hard to walk these streets and really remember it all. הערה | פוסט זה פורסם בקטגוריה Culture, History, Maps, Pawia St., Warsaw. אפשר להגיע ישירות לפוסט זה עם קישור ישיר.